DS Grinding is committed to giving your home the highest standard in concrete polishing and honing, for the most visually stunning flooring to complement your individual lifestyle. The impressive look of a polished or honed concrete finish to your floors adds sophistication to any home. Durability, strength, low maintenance, variety of colours and a seamless finish bring your home to a new level of style and class. Polishing/honing your existing concrete can also be a cost effective way of rejuvenating your floors and adding a unique high end surface to your home or commercial space. DS Grinding is a WA owned and operated company that specialise in honed and true polished concrete flooring services for Perth homes and commercial premises. From the complete process of: design – pour – grind – polish, to polishing or honing existing surfaces (including washed aggregate) to give new life to what may seem to be an old or dated surface. If you are looking for design advice, we can also work with you to choose the right surface, colours and landscaping applications and services to turn your home into a masterpiece with creative and practical design solutions. We work with both external and internal concrete, transforming plain boring floors into attractive features. Bring your home to life with beautiful polished concrete flooring It is the sheer beauty and unique natural style of honed and polished concrete that has inspired the DS Grinding passion of ‘making concrete art’. Unending possibilities allow us to push the boundaries adding this artwork to enhance individuality, functionality and aesthetics to your home. 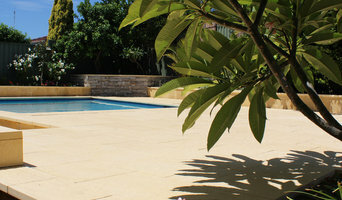 Castlestone limestone pavers, pool capping and driveway pavers are ideal for Australia's hot summer conditions as they're cool to walk and sit on, even on the hottest days. Do the touch test to compare a clay, granite, concrete or aggregate product with limestone on a warm afternoon .... you will be surprised at the difference in heat retained! Our range of borders, paving and bullnosing is ideal for enhancing any outdoor space. They complement a variety of home styles and is also suited to creating fun play spaces like giant chessboards or hop-scotches for all the family to enjoy. The reason you will like dealing with Castlestone is we enjoy helping you achieve your beautifully landscaped outdoor oasis. Our aim is to provide you with all the relevant information to help you make an informed decision that is right for your situation. We want you to sit back after the project is complete and be happy with your selections for your space. Castlestone is a proud member of SPASA in the landscape and design category. 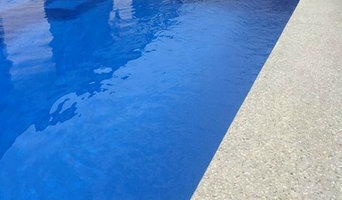 The company's range is also on display bi-annually at the Pool, Spa & Outdoor Expo at Claremont Showgrounds in Perth. If you like what you see here, visit us at one of our Perth locations: Wangara showroom & factory at 229 Gnangara Road Wangara, Home Base in Subiaco or 24 Ascari Lane in Joondalup or call us on 9303 4433 for more information. Limecrete specialises in the manufacturing and supply of all internal and external premixed decorative concrete for your residential or commercial project. We create colours that no other supplier does, and can expertly customise a product to suit your design needs. Feel free to book an appointment with our qualified staff to discuss our exclusive range of products and how they will be the best solution for your project. Or at your leisure view our new display and take comfort in knowing that Limecrete will be your preferred supplier. With over 30 years in the landscape industry, Country Earth has seen garden construction from all angles. 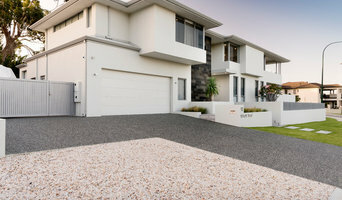 Our expertise and passion for landscaping makes us one of the leading authorities in landscaping Perth has to offer. It doesn't take long to realize that the basis of any garden is its structure. Paving, walls, water features, gazebos make a garden what it is. To this end we became involved in providing solutions to creative paving and walling which gives each project an individual character. Country Earth manufactures and imports a wide range of paving, walling, cladding and landscape features to achieve that aim. We also stock a wide range of natural stone products that make a statement when used on any landscaping or home design project. Country Earth is fully committed to ethical trading, working alongside UNICEF to tackle child labour in quarrying regions through sales of the ethically sourced range of natural stone paving. These products have been quarried and produced in line with a clear set of ethical values and commitments. For every m² of paving sold,$1.50 is donated to UNICEF. We don't just sell products either. At Country Earth we offer a complete landscaping design and installation service that will see your idea and wish through to completion. Our objective is to stimulate your imagination with our palette of materials and encourage you to think outside the square to achieve extraordinary results in your project. We look forward to bringing YOUR dreams to fruition. Professional Perth based brick paving contractor, we offer full supply and install packages including any maintenance work. We provide a good job for a fair price that doesn’t give you the run around and meets industry standard’s. High quality workmanship and attention to detail make Perth Limestone Company the number 1 choice when it comes to limestone walls in Perth. Whether it is a commercial or residential project, Perth Limestone Company can work with existing plans and ideas or can work together with clients to create their required design. 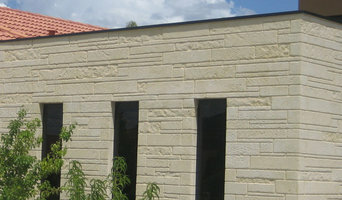 At Perth Limestone Company we deliver your project on time and within budget. Based in Perth & operating since 1997, the Polished Concrete Specialists are industry leaders in polished concrete flooring. Ideal for every lifestyle, polished concrete floors are easy to clean, allergy free, have no grout & are stain free. Having operated for the past 11 years in Western Australia, we offer a wide range of quality construction and demolition related services at competitive rates. Operating with the latest equipment endorsed by Traxx Construction Products, our fully qualified and professional operators work to the highest safety standards with excellent service guaranteed to meet your every need. Our team of qualified professionals, well trained and certified personnel who can operate the latest high-tech machines implement every project with care and 100% attention to details. To make sure that we are always ready for action and up-to-date with technologies, fast-paced world, procedures & regulations, we keep proving educational and on the job training to every professional we have in our team. Kwikcut believes in the importance of collaborating ideas and exploring innovative concepts not just for the benefit of our company but above all for the benefit of all our clients. We are customer focused, and we all share the same vision which is to put attention to details and produce nothing but excellent results for every project laid before us. We are highly professionals, trained, skilled, and licensed. For us, no job is too small or too big that we cannot undertake. Here at Ensure Paving Direct, we offer a number of landscaping services to help you make the most of your outdoor space. For expert installation of PAVING, BULLNOSE, LIMESTONE BLOCKS or SYNTHETIC TURF then look no further. We take a great deal of pride in our work and nothing makes us happier than a happy client! We have been in business for many years and our team is highly experienced, so you can feel confident that the level of workmanship will be of an extremely high standard completed within a reasonable time frame. Pioneers in limestone construction, Bayvogue is a family owned business with over 20 years of experience. With our professionalism, customer focused and positive approach, we have been serving in and around Perth, Western Australia. We assist you in the process of designing, evaluating and building limestone retaining walls, sandstone walls and cladding, stone piers, steps, random stone and rubble walling. Bayvogue takes pride in accomplishing the most challenging task with utmost sincerity, attention to detail and diligence. Bayvogue has built a reputation for attention to detail and top-notch quality over the years. Portfolio of our prestigious projects speaks volumes about our dedication. We consider our reputation as the biggest asset and make every effort to stick to quality standards. Here, at Bayvogue, our technicians are not just workers, but creative artists consistently providing trendy ideas for your home and garden. We take a personalized approach meeting each and every requirement of our clients. For making your sandstone walls and cladding more attractive, we help you with color and texture ideas. With dedication and excellent workmanship, Bayvogue’s name has become synonymous with limestone products in Perth. We're specialists in Marble, Granite and Engineered Stone for both residential and commercial applications. View our website to learn more or visit our Wangara showroom in to see the full range in person. Medici Marble & Granite is a family owned company in WA specialising in granite and marble in Perth, supplying quality stone benchtops in the Perth area. We offer up to a 5-year warranty on all our completed projects all throughout Perth and surrounding areas. Completed projects we guarantee includes lamination of stone; all mitre joins, surface joins, under mount sinks and installation. After the installation, we make sure to provide tips, on how to take care of your marble, granite or stone and we also leave an adequate product of highest quality to keep your surface clean and shine. A Perth, Western Australia stonemason can add kerb appeal to your home and is usually hired for home projects such as driveways, pathways, pool coping and home facades, but can also build retaining walls and fit stone cladding. In some instances, their work can extend to features inside the home, from fireplace surrounds and mantels to staircases. 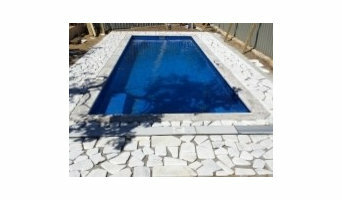 Find a Perth, Western Australia stone, paver and concrete professional on Houzz. Scroll through this page to find a stonemason, paver or concreter in your area. Just enter your suburb in the top field to narrow your search. You can browse their latest projects, read reviews and see how other homeowners rate their work, and message them directly.